Troy Southgate (b. 1965), the author of Arktos’ Tradition and Revolution: Collected Writings of Troy Southgate, has had a long and varied career in the arena of radical politics, having pursued his social and spiritual visions as an organiser, as an author and as a musician. Born in London, Troy developed an early interest in politics and worked for the National Front as a teenager. He broke with the NF in 1989 and has been involved with a successive series of political organisations ever since, all of which are of a National Anarchist, Green and a traditionalist orientation. 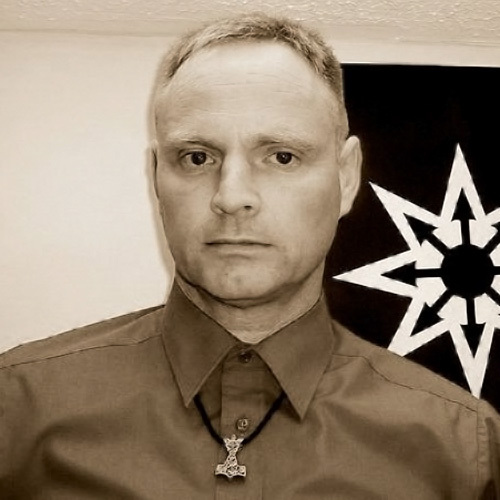 His most recent efforts have been to found a British branch of the European New Right and an associated journal, New Imperium (available from Arktos), and he has also formed the National-Anarchist Movement. In addition to his revolutionary activism and his frequent writings, he often performs with European musical ensembles such as the Dutch Neoclassical group H.E.R.R., the German band Seelenlicht, and Poland’s Horologium. Southgate is widely considered to be one of the most original and prominent voices in British radical politics today. Tradition and Revolution is a collection of his most important essays from throughout his career.